to deeper understand Intuitive Wisdom and Pure Ratio, through Power of Mind. 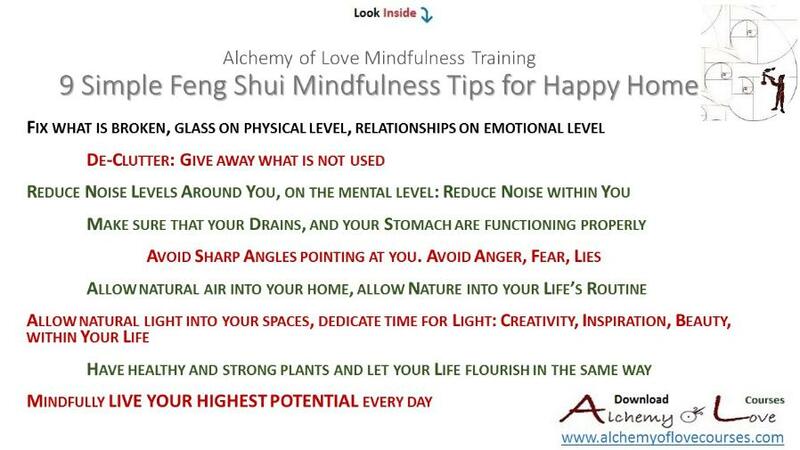 Welcome to the Mindfulness exercises and personal development tools from AoL books and courses. How to creative thinking. with conscious living by Nataša Pantović Nuit, Author of 9 AoL Mindfulness books and courses. Using the process of self-discovery, the self-development and spiritual tools used within the Alchemy of Love Mindfulness Training Books are: mindfulness exercises, the practice of meditation, tools to understand conscious vs. unconscious behavior, personality questionnaires, setting true personal goals, inner exploration through writing and drawing, use of mandalas, tree of life, spiritual diary, relationship contracts, flower of beliefs, etc. Listen to Your Soul: Learn how to listen to your Soul, and live within the Flow. The course consists of 12 modules that are full of mindfulness exercises and transformation tools designed to help you understand your body, your thinking patterns, core beliefs, relationships matrix. During the 12 weeks, you will be using spiritual tools of various philosophers and gurus of the past that will help you examine the world of feelings and emotions; your greater surrounding; your dreams, and your true goals. During my spiritual journey, during 25 years of meditation, yoga and tao exploration, I came across Love, Joy, Suffering, Compassion, Curiosity, and most of all, Wonder towards all the manifestations within Life. 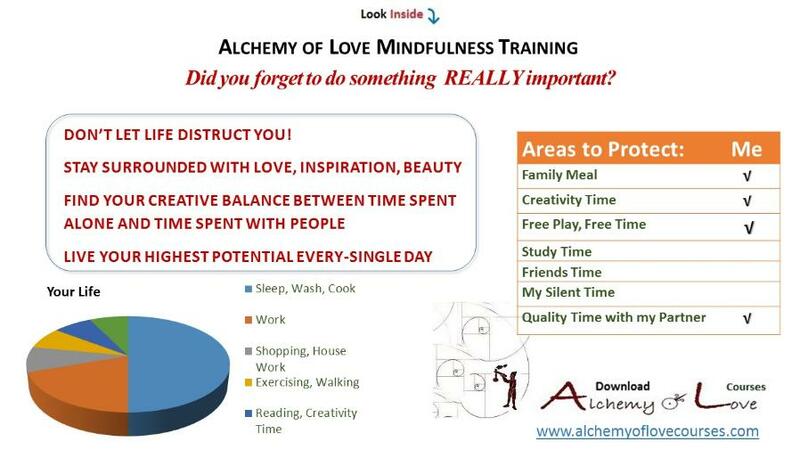 In an attempt to expand this Wonder, I created the Alchemy of Love Courses Mindful Being and Conscious Parenting. Exploring the Alchemy of Human Being we examine Human Brain and Mind Powers, tools to increase Creative Thinking, ways to achieve Free Mind. From Hindu to Buddhist, Christian to Tao, all across centuries, all across the planet, covering ancient and contemporary philosophers and gurus, the course is inspired by Life, Love, Alchemy, Tantra, God. The alchemy of this mixture is there to keep me inspired and to inspire you to further create, going back to Life re-newed, shining Love. 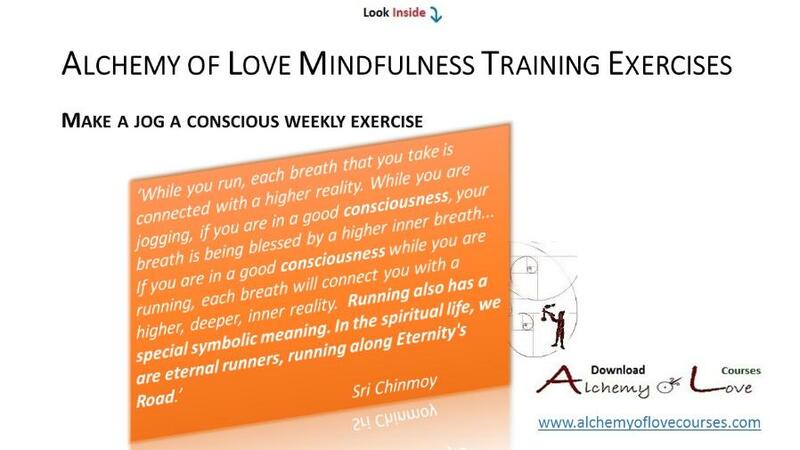 Conscious Parenting is the Alchemy of Love Self-Development Course designed for parents. We use Transformation Tools and Spiritual Exercises that will help you get in touch with your Soul, with Love, and with Patience when dealing with kids. Explore the magic work with: Soul's Diary, Spiritual Parenting Diary, Developing Parenting Virtues, Meditations, Rhythm, Day-to-day Routine, Happy Family Structure, Cultivating of Relationships, etc. Is there such a thing as an ideal parent and an ideal growing environment for our children? How to understand the needs of these gentle and pure souls that are given to us for our guidance without suffocating their inborn happiness? The Conscious Parenting Course was born out of these questions that haunted myself and Nuit. 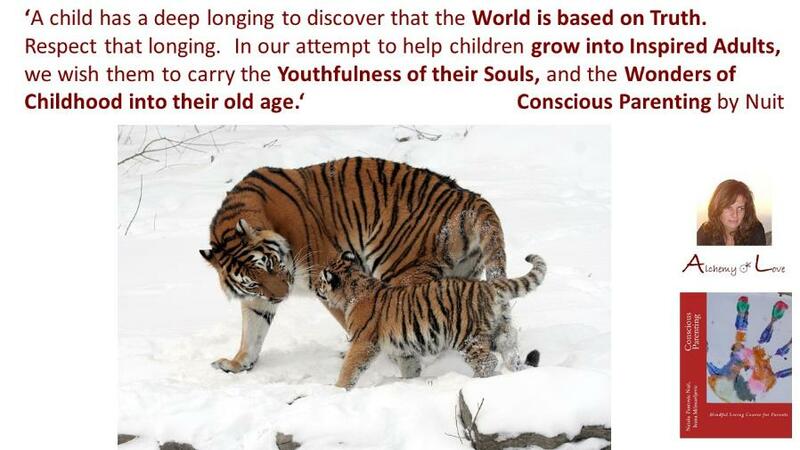 We believe the answers are within our eternal search, within our self-development and spiritual growth and development, within our efforts to become more conscious and within the main pillars of the Conscious Parenting Course. Children need LOVE, unconditional, fully expressed, real LOVE. So love your little ones and allow them to be surrounded by FREEDOM, freedom to express, to explore, to think and form opinions, to experience the world around them without stereotypes and prejudices. Children need Rhythm, Routine and Structure, they need Daily Plan of Activity, Weekly Plan, Monthly Plan, Yearly Plan, and even though this might sounds boring the routine gives them stability and security. Learning how to define True Goals and Dreams and Priorities we avoid missing on REALLY important activities and mile-stones that in a long run make you, your partner and your children happy. Our children have given us the most precious gift, they chose you as their parents, in return, we should give them a world that they deserve. The path of love, peace and harmony is possible and we all aim to achieve it. Start your conscious parenting self-development journey, it is the most rewarding spiritual experience! Within 12 Modules we Examine 12 areas of Life and Implement various Spiritual Transformation Tools to help you Live your Highest Potential as a Parent. Within our 12 Modules of Self-Development Conscious Parenting Course, we will help you examine your body, the food you & your family eat, your home, the environment that surrounds you, your habits and patterns. 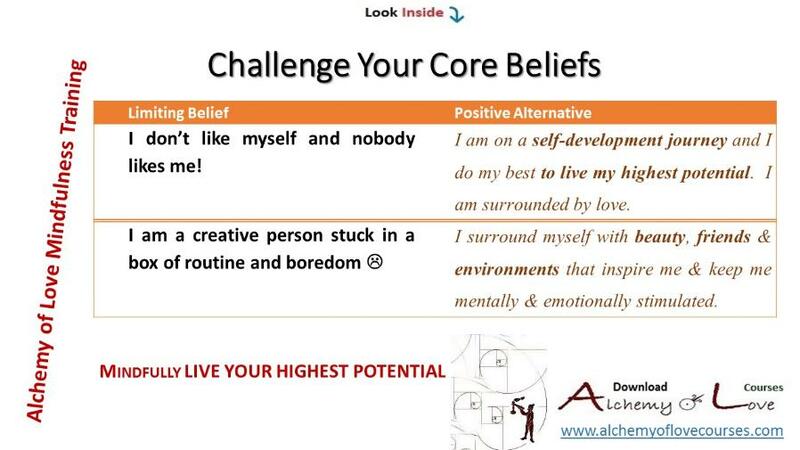 You will explore some very inspiring exercises to examine your mind, your subconscious and conscious thoughts, your emotions, your relationships. You will look into your parenting goals, dreams, and build your personal development plan. 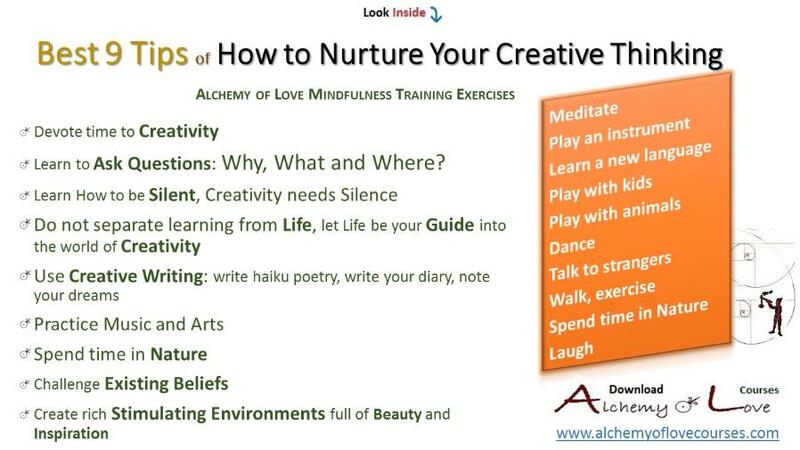 Your capacity to stay an Inspired and Creative Parent that is Full of Energy.